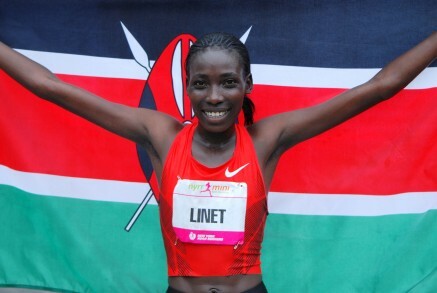 21st September 2014 – The 2009 World 10,000m Champion Linet Masai (KEN) began her winter campaign in fine style by taking victory at the Dam tot Damloop road race in Amsterdam. At the US 5k Road Championships, Jordan Hasay (USA) claimed the silver medal and a PB. Running with eventual race winner Molly Huddle, they passed the mile in 4:40 and continued to run stride for stride deep into the race. Approaching the steep climb into the final straight Huddle moved away but Jordan ran strongly through the line to set new 5k figures of 15:26. Oregon Project teammate Mary Cain (USA) was 6th in her first 5k race for over a year. World 1500m silver medalist Matthew Centrowitz (USA) stepped up in distance and was in contention in the final mile. A slight course misjudgment though meant he didn’t have his usual speed at the end and in a tight finish he took 7th in 14:04.